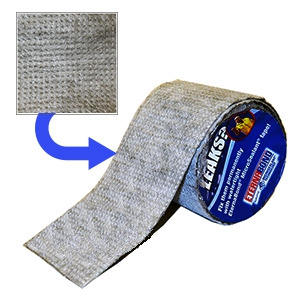 WebSeal has a woven backing laminated to Eternabond sealant in a peel and stick tape format. Easy to work with and extremely flexible, WebSeal forms around almost anything from a seam or tear to a leaking drain pipe. Once on it stays flexible but never loses its adhesion if properly applied. When used in a place exposed to sunlight, WebSeal is easily protected from UV rays using flexible a U.V. Protector or flexible roof coating which brushes on. Environmentally and user safe, no solvents or VOC’s. Repairing or re-seaming RV and mobile home roofs, flashing penetrations and irregular shapes, steel roofing panels, skylights, copings, steel roofing seams and more! Requires additional UV PROTECTION, NOT INCLUDED. You'll get a prompt reply! 10 INCH BENT SHEARS (SCISSORS / TRIMMERS). NON-STICK PTFE COATED, HEAVY DUTY / PROFESSIONAL GRADE, CHROME PLATED HOT DROP-FORGED CHROME-MOLY STEEL FRAME WITH ADJUSTMENT SCREW. PRICE/EACH. 3 Wide X 1-1/2 inch Diameter Hard Rubber Seam Roller. J-Roller Design with 13 inch Aluminum Handle and 2 Grips to Provide Greater Leverage When Pressing. Price/Each. Copper VersaFlash Flexible Flashing Tape, 11 in. x 15 ft.
DekStrip Universal Roof Flashing. Longlasting UV resistant gray TPE rubber with 25% expandable reinforced edges. Fits large, curved or irregular profiles. 9 inch wide x 10 foot roll. Price/Roll. DekStrip Universal Roof Flashing. Longlasting UV resistant gray TPE rubber with 25% expandable reinforced edges. Fits large, curved or irregular profiles. 12 inch wide x 75 foot roll. Price/Roll. EternaBond UV Protector Paint, WHITE (Tintable), 1-Quart Can. Price/Can. Use over top of WebSeal or other surfaces areas needing UV protection. Lucas #6600SL Universal Sealant, WHITE color, Self Leveling Grade. High-performance, multipurpose thermoplastic elastomer based sealant for Seam edges, Cut-Edges, Flashings etc on all types of roof membranes. 10.1 Oz Tube. Price/Tube. M-1 HIGH PERFORMANCE STRUCTURAL SEALANT & ADHESIVE, WHITE COLOR, 10.1 OZ. TUBE. (24/case, 1080/pallet). PRICE/TUBE. NovaTuff RC-100 Instant Roof Repair / Waterproofing Kit. Includes squeeze-to-mix pack of quick-set RC100 flexible-epoxy waterproofing / roof repair coating (white), reinforcing fabric, brush, instructions. Repairs 2-10 sqft. Price/Kit. Roof Mate HT, High Tensile Elastomeric Roof Coating, WHITE color. Meets ASTM D6083, Energy Star and is CCRC Listed. 1-Gallon Bucket. Price/Bucket. Everhard Silicone Seam Roller, 1-3/4 inch wide x 1-7/16 inch diameter, single fork, 5 inch hardwood handle, ball-bearing, professional grade. Price/Each.